Gone are the days we saw Nano sales going down and down every month. 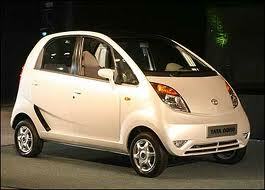 We thought Tata's gamble with the nano was not good enough. But finally, Nano is back or is it the TATA the brand itself. Last month, the company reported an increase in sales for small car Nano in rural markets, primarily owing to an expansive distribution and financing network for customers. Initially, over 80 percent of the bookings were registered from buyers who already owned a car, while the remaining 20 percent were from first-time buyers. The balance is now shifting. 'Last month, over 50 percent of our sales were reported from first-time buyers. We are expecting the numbers to increase by another 30 percent over the next few months. 'Sales are also on a rise in rural markets,' said R Ramakrishnan, vice-president, (commercial, passenger car business unit), Tata Motors. But how it happened? The answer is here. To boost consumer confidence, Tata Motors had announced various schemes, including offering a free four-year/60,000-km extended warranty and comprehensive maintenance contract for new buyers at Rs 99 a month. 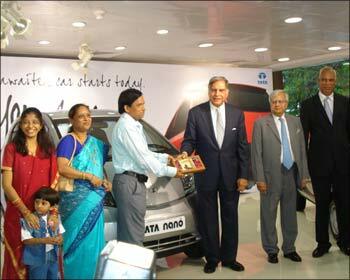 Tata Motors Finance also promised up to 90 percent finance for the Nano at low rates. Volumes for the compact car have picked up since then. In December 5,784 units were sold, in January 6,703, and February recorded sales of 8,262 units. The graph is now going in the right direction as they initially wished it would. We need to see how much more it can go? Will Nano become the loving baby of the rural masses? Considering the majority of India living on rural area's, it's indeed a huge market up for grabs for the Nano.